Claim Back PPI No Documents or Paperwork? If so you may be able to claim back thousands in mis-sold Payment Protection Insurance. 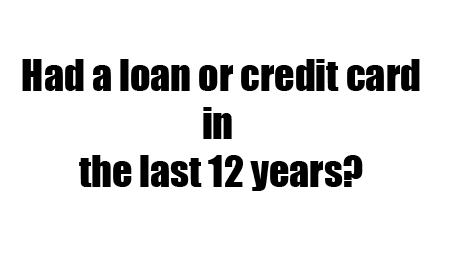 Have you had any Loans or Credit Cards within the last 12 years? If Yes, please contact with your name and email using the box above or telephone 01752 840623 so we can reclaim any Insurance Premiums, Interest and Compensation from the Miss-Sale of the Insurance on your behalf. NO WIN NO FEE! 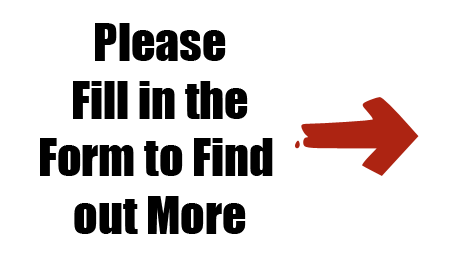 To make PPI Insurance claims we just need to know your name and address to get the ball rolling! You don’t even need to know if you have had PPI or still hold the paperwork. If you do not know all the information we will just need to know the name of the lender and the address they are likely to have for you. Following a Judicial review we are successfully arguing that clients Payment Protection Insurance was miss sold on borrowing in the last 12 years in some cases even further back. The borrowing can be anything from Loans, Credit Cards or Mortgages to HP. Have you have ever borrowed money and taken out Payment Protection Insurance for a loan, HP, mortgage or credit card? If you have you could be one of the estimated 20 million PPI policyholders that have been mis-sold Payment Protect Insurance. Anyone who has or has had a personal loan, secured loan, credit card, store card or catalogue credit may be able to reclaim £1,000s. The mis-selling of Payment Protection Insurance (PPI) on these products has been so severe, some people might not even know they have it. The majority of people who engage with a financial institution on the basis of obtaining a loan, credit card or HP agreement will probably have taken out some sort of Payment Protection Insurance, commonly known as PPI. What many people are finding out in the event of a default on their repayments it that their PPI does not cover them. It has recently come to light that many people who have purchased PPI may have been mis-sold and therefore entitled to PPI compensation. PPI is frequently sold alongside credit agreements and is meant to protect a borrower against the risk of being unable to make repayments be it through sickness, an accident or unemployment; it frequently fails to do so. PPI can be staggeringly expensive, some policies can cost between 13% and 56% of the actual loan/credit amount. If you believe you may have paid for aspects of a policy which do not apply to you or not applicable to you, you may be entitled to PPI compensation. Common factors that should be checked when assessing if any compensation is payable are: Unemployment cover, medical aspects, ‘single premium’ loan purchases, details appertaining to the insurance cover and whether you have consolidated your borrowing. The aforementioned factors and exclusions should be rechecked in detail and cross referenced in regard to your own circumstances at the time the PPI was taken out; in many cases PPI Insurance Claims can be made. 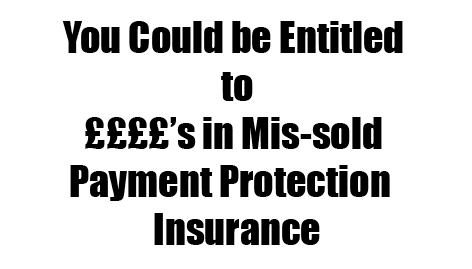 You might not be sure if you have been mis-sold Payment Protect Insurance (PPI). However, Recover Your Money is able to offer professional advice on a no-win, no fee service so why not call us on 01752 840623, download our paperwork for completion or email us at info@bankcomplaints.co.uk as it could be time to reclaim what is legally yours!